A few weeks back on their excellent Saturday afternoon sports programme, BBC Radio Cornwall gave time to highlight a selection of the county’s sporting legends. There were, of course, many fine names to recall, ranging from World heavyweight boxing champion Bob Fitzsimmons to former England goalkeeper Nigel Martyn. A number of famous rugby players were also inevitably highlighted and, responding to a request from sports producer Ross Ellis, I spoke about a true giant in the game, namely John MacGregor Kendall Kendall-Carpenter CBE – or ‘Carps’, for short! The word ‘Legend’ can be too easily used, but not in the case of Carps, a back-row forward mostly who played for Penzance & Newlyn RFC, Oxford University, Bath, Cornwall, and the Barbarians. He also captained England. However, besides his playing exploits, which would demand a separate column plus to give fair attention to – as there are some fascinating stories to recall – it was as an official that he cemented his place as one of the true ‘greats’ in the game. 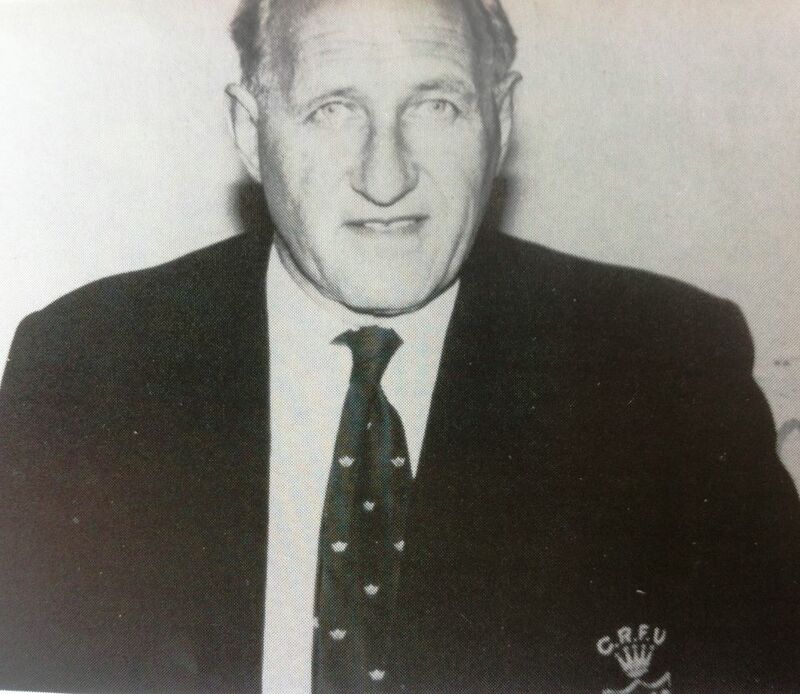 Senior posts that he held in the game included being President of the England RFU 1980-81, the England Schools Union 1985-90, and the Cornwall RFU 1984-87. He was Chairman of the Committee that organised the first Rugby World Cup in 1987 (and for the 1991 competition before his untimely passing in 1990) and he was also the man who chose the Webb Ellis Cup. 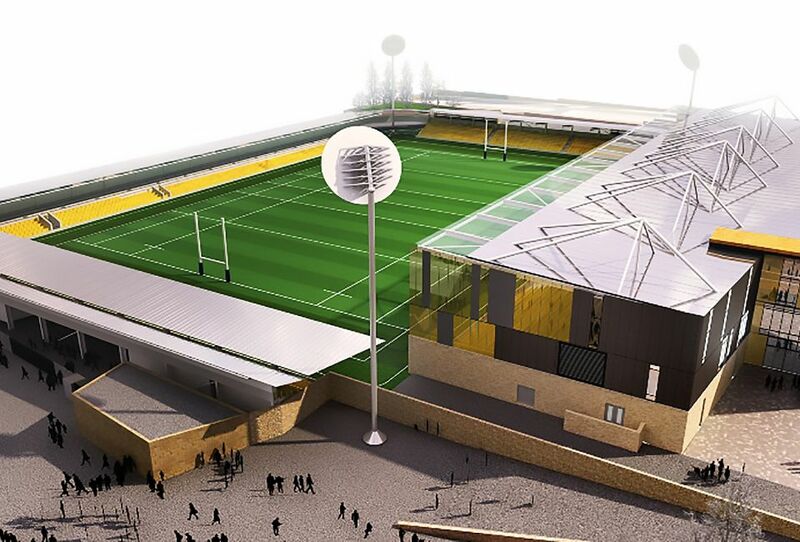 When recording my piece for the BBC Radio Cornwall sports production, which provided the spur for this latest column, I mentioned that during his time as President of the Cornwall RFU, Carps was influential in instigating several fixtures for Cornwall against international sides, including one against Korea. On driving home, however, I started to doubt the old memory bank, asking did Cornwall really play Korea? So, did they? Yes! 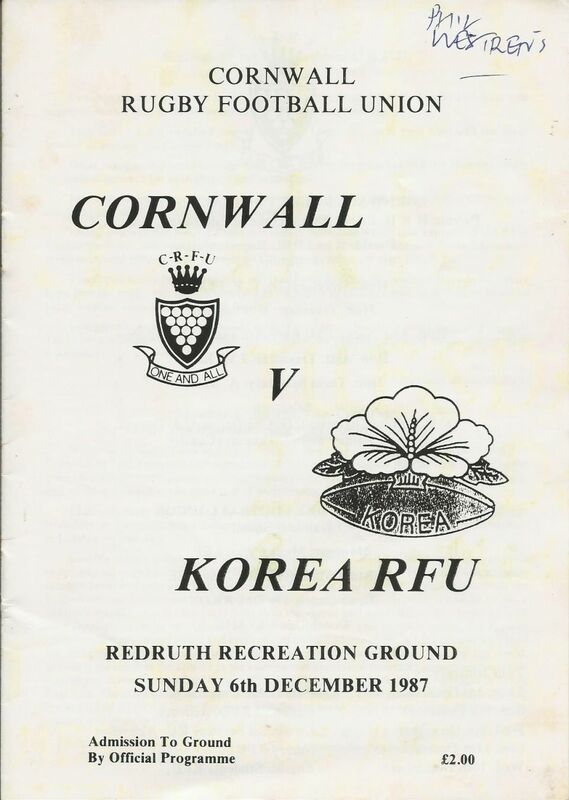 I was right, a quick check of my archives revealing that Cornwall did indeed face Korea RFU, back in 1987, besides a year earlier having played Japan (my brother Mike hooked for Cornwall that day, with ‘Pirate’ Bob Henderson also in the squad). 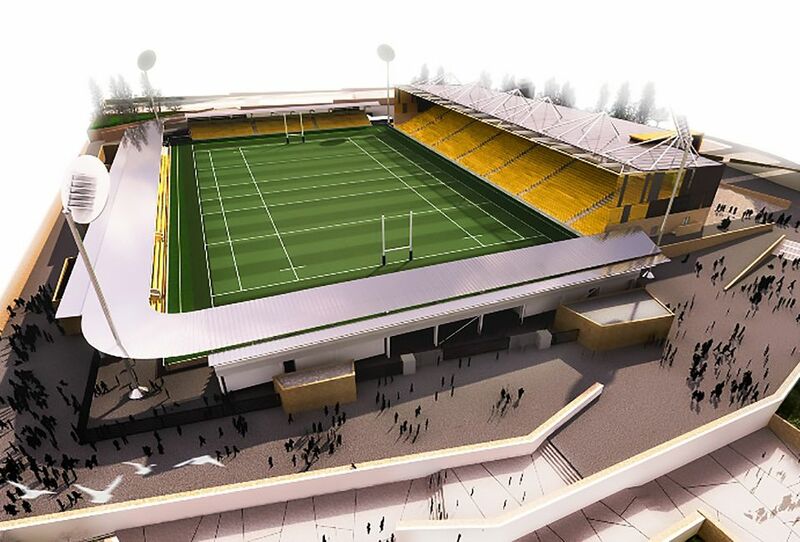 Both matches were hosted at Redruth, as was a game played against Russia in 1989. 15 N. Allen (Camborne), 14 Barry Trevaskis (Falmouth & Bath), 13 A. Mead (Saltash and D&C Police), 12 G. Champion (capt – Truro and D&C Police), 11 S. Rogers (Camborne), 10 P. Bradley (Redruth & RAF), 9 D. Rule (Camborne); 1 J. May (Redruth), 2 B. Andrew (Camborne), 3 S. Lord (Camborne), 4 M. Haag (St. Ives & Bath), 5 A. Cook (Hayle and D&C Police), 6 A. Curtis (Redruth), 7 A. Bick (Penzance & Newlyn), 8 G. Williams (St. Ives). 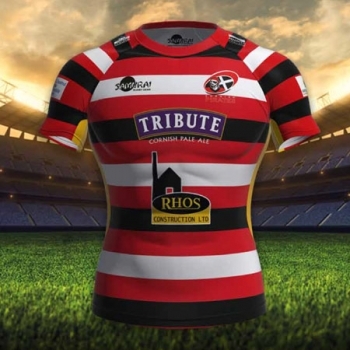 The replacements listed were: 16 J. Willis Redruth), 17 D. Weeks (Camborne, 18 P. Elliott (Redruth), 19 R. Keast (Redruth – dad of present day Pirates squad member Billy Keast), 20 R. Tregoning (Redruth), S. Williams (Penryn). ‘As befits the rocky land which stands guardian to our Western shores, Cornwall is used to making contact with those from foreign parts. Perhaps you had better understand that when you crossed the Tamar you left England, for we Cornish are Celts – survivors of that invading wave from Scandinavia which changed the face of much of the earth. Up country we became England, and you, of course, were changed to the Ruric Empire, the ancient name for Russia. 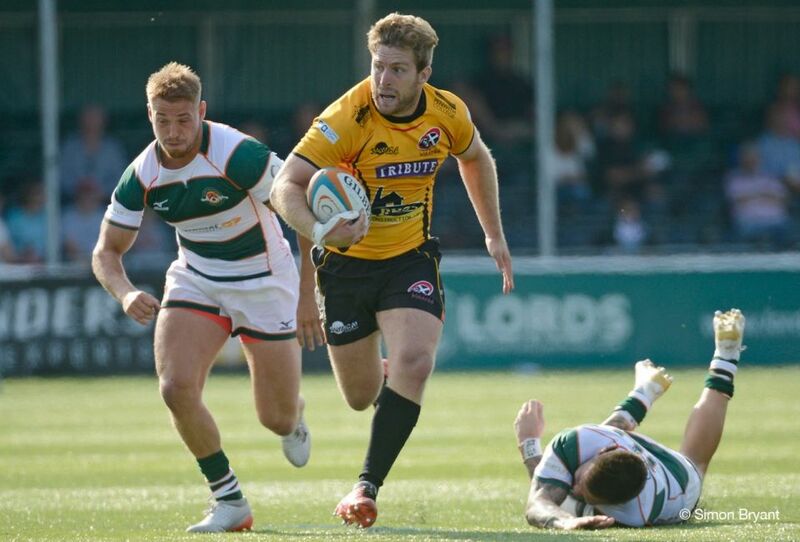 I believe that Georgia, also at an extremity, where so much of your rugby is played, is like Cornwall, the natural home for this Game we love. They say that over the centuries the two great causes of war have been religion and fish. I have no evidence to support the theory that our two nations have been to war over religion, but we’ve certainly growled at each over fish – especially when your great trawlers sucked up huge draughts of our beleaguered mackerel. But even so I think we preferred you to the Scots, so in a way I have established another sort of bond, even though it might, like Trelawny, cause me to end in the Tower of London! Such comments were worthy, but what a pity his closing comments can’t apply to all international relations. There is at this time an obvious topical slant to this, and whilst we know that the vast majority of people are good, it is leaders occasionally and those associated with the murkier world of espionage and other aspects of life that let us all down. I’ve started to digress, and will continue to do so, just a little. 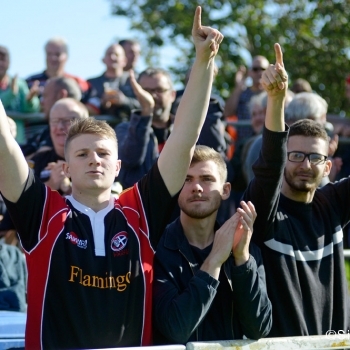 Firstly, let’s have some sympathy with the PA announcer at Redruth, although I am sure he coped well when announcing player names such as Hong Hyeon Seung (a Korea player), Katsufu Miyamoto (a Japan player), and Nugzar Dzagnidze (a Russia player). I am certainly aware of such challenges posed, remembering that over the years we have played games against such as Meiji University (Japan) and the Fiji national side. 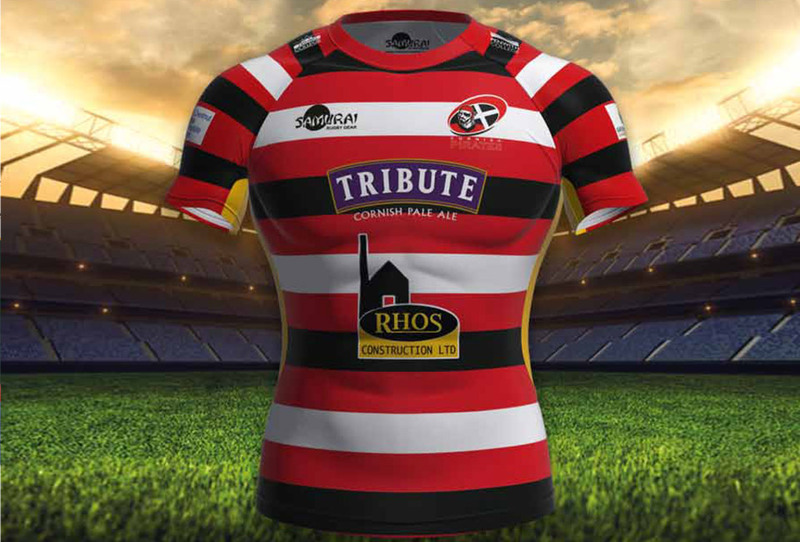 In certain of the above games supporters saw some of the world’s greatest players of their day visit Cornwall (too many to name), as was also regularly the case when playing against teams such as Dai Gent’s XV, Captain Crawshay’s XV, France ‘B’, the South African Barbarians, the Barbarians, and the New Zealand Barbarians. 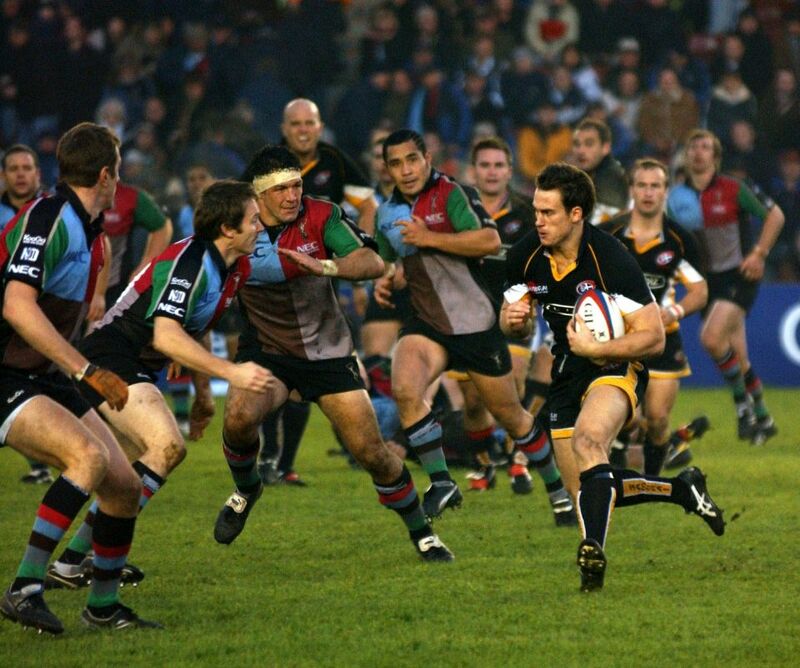 Such matches don’t unfortunately happen nowadays, however through the Cornish Pirates we have still managed to witness many top-class players in opposition in recent years, including the likes of Andrew Mehrtens and Will Greenwood (Harlequins), plus Carlos Spencer, Chris Ashton and Brue Reihana (Northampton Saints). 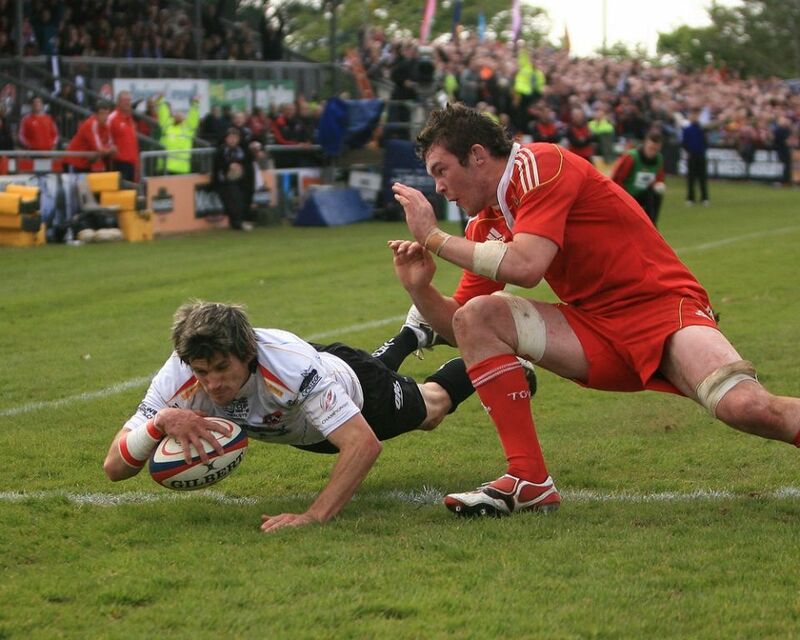 Also, in British & Irish Cup matches the Pirates played against such as Peter O’Mahony, Simon Zebo, Conor Murray and Peter Stringer (all Munster). To conclude this latest column, we’re back to Carps again, and to mention again the visit by the New Zealand Barbarians in 1987. Their side was incredibly strong, indeed nine of their selection (in the XV and on the bench) would three months later be in the ‘All Blacks’ team that won the inaugural Rugby World Cup competition, after beating France 29-9 at Eden Park, Auckland. And who was the influence that made the NZ Barbarians fixture happen? Well, it was once again Carps, and that he died in 1990 just before retirement from his role as Headmaster at Wellington School in Somerset was a big loss. A true giant in the world of rugby, a gentleman, and without doubt a legend, he still had so much to give to the game, and no doubt the Pirates.